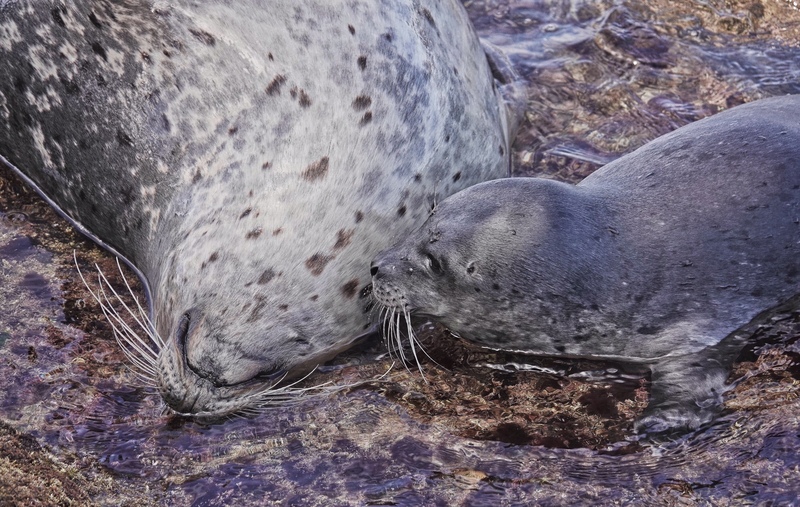 Back to San Diego again this morning to pick up another shot of a new-born Harbor Seal pup memorizing the smell of his mother’s breath. She is clearly exhausted from the birth. Sony RX10iv at 580mm. Program mode. 1/250th @ ISO 160 @ f4. Processed in Polarr and Apple Photos.